The Conservation College Ethnobotany & Herbalism instructors training internship position is an exclusive summer focus of our Earth Skills Apprenticeship with only two positions available in this, our 20th Anniversary Year. Our two Ethnobotany & Herbalism Instructor training positions are available for adults who want to move beyond a general overview of the skills we teach, and delve deeper into the skills of plant conservation, including knowledge of herbalism and ethnobotany. Check out all the general program details for 2017 on our main Earth Skills Teaching Apprenticeship page. In one summer with us, you can become a professional herbalist and ethnobotany instructor. Each week of the summer is an intensive training on a different aspect of wild edible and medicinal plant crafting, herb gardening and processing, and other ethnobotany skills like spinning plant fibers for clothing, baskets, rope, and more. Ethnobotany means understanding the relationships between plants and humans, including how plants are incorporated into our lives, as well as how humans are dependent on plant ecosystems. 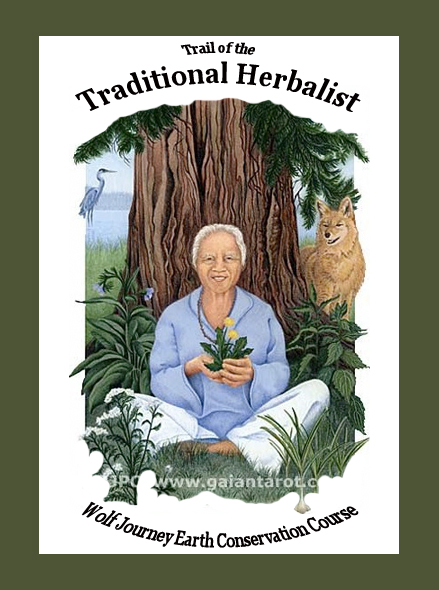 When an herbalist who understands ethnobotany harvests a plant, he or she honors it by preserving the plant to for all its medicinal, nutritional, and utilitarian gifts. You will also learn to conserve and caretake the land, whether it be the soil in potted plants placed on a balcony, or on the edges of a large farming enterprise. FAQ – What is the Earth Skills Apprenticeship Mission and Who is the Ideal Intern? Check out all the general program details for 2017 on our main Earth Skills Teaching Apprenticeship page, and click here for supplemental FAQs received from applicants. Which Outdoor Skills will I specialize in as a Ethnobotany & Herbalism Instructor intern/apprentice? • Pioneer Style Shelters, plus Emergency Shelter & Primitive Shelter. • Clay Harvesting, Molding & Firing. • Parfleching (carrying cases, drum making). • Bent cedar boxes and other important bioregional crafts. • Various Basketry Projects (one of our specialties), woodwork, and other pioneer crafts. • Nature Sketching & Journaling. • Wildlife Tracking & Bird Language. Check out all the general program details for 2017 on our main Earth Skills Teaching Apprenticeship page, and click here for supplemental FAQs received from applicants, and after deciding whether this apprenticeship focus most interests you, click here to check out our application process. We always keep your information absolutely private, and will never share it. Not quite ready yet? Email us to be put on our our list for future years. You can also like our facebook page to keep in better touch.